Local gaming policy is under heavy scrutiny this week in Tasmania, where a public hearing is taking place to consider whether The Federal Group‘s monopoly on poker machines should be dissolved. According to one group, real money pokies are a simple form of entertainment, no different than “going to the movies”, and that players don’t really expect to win when they play. The hearings on Government gaming policy are being held to determine the future of poker machines on the island. Should real money pokies be restricted to Tasmania’s two local casinos, both owned and operated by The Federal Group? Or should they be permitted to remain in local pubs and clubs? And what is the economic and social impact under current and potential circumstances? Real Money Pokies: Danger or Entertainment? David Curry, Head of Regulatory and Corporate Affairs for the Australian Leisure and Hospitality Group (ALH), was on hand to answer questions during this week’s hearings. He said that people who play real money pokies “don’t expect to win”, and that the games are the equivalent of any other accepted form of entertainment. “Do you think they understand that generally they’re not going to win?” Greens MP Andrea Dawkins asked Curry. “I don’t think people generally expect to win when they play, but what they are doing is buying a form of entertainment,” responded Curry. While ALH was clearly in support of keeping real money pokies at local pubs and clubs throughout Tasmania, Australian author and historian James Boyce was eager to bring the committee’s attention to the “giant pokies barn” that he says the state’s two casinos have become. “I would plead with you to look at the issue of the casino,” said Dr Boyce, who has a new book on pokies due for release this year. Arguing another end of the spectrum was Peter Dixon, Director of the Dixon Hotel Group, who said many of the island’s pubs won’t be sustainable without poker machines – particularly those located in areas that don’t benefit from tourism. “We speak from the heart on this, I’ve had 40 years in this industry and have invested in country areas and I can tell you the vast majority of our places would be broke without the pokies,” he said. “You get into the areas where we deal like Scottsdale, New Norfolk, Longford, Exeter, George Town – most of those venues haven’t seen a tourist,” said Dixon. 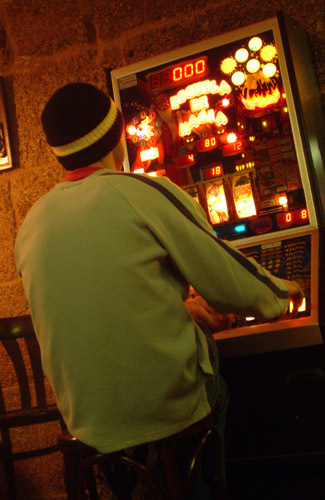 His company operates 35 pubs in Tasmania, with 30 of them being located in regional areas that rely heavily on local patrons and revenue from real money pokies to stay afloat.